Look closely, you will see the first photo revealing a blue mold. In my years as an expert in mold testing and remediation, I have yet to see such organic activity. How do I know this is mold? The simple method of applying commercial grade peroxide to suspected mold will tell me whether this sample is reactive or not. Reactivity is revealed by the foaming on the second photo. Further findings and identification are only possible by taking a physical sample of the mold to an accredited lab. However, prior to taking samples, the application of the commercial grade peroxide can reveal whether or not suspected growth is Black Mold or not. It is not uncommon that I suspect a mold issue only to take samples both physical and air samples to the lab and find they are something else. This is why I use the peroxide test to narrowcast my efforts to develop a job scope for treatment. 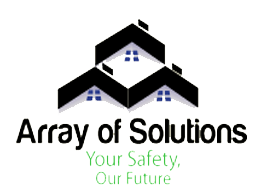 The purpose of this article is to inform all readers to contact ArrayofSolutions.com or a qualified environmental expert to determine if your experiencing a mold issue or not. The most important factor when performing tests is the health of the occupants. Respiratory distress, hay-fever, allergy, cold and flu-like symptoms are all indicators of an air quality issue. Later, progressed signs and symptoms can include but are not limited to; Fatigue, body aches, sore throat, insomnia, and skin rashes. Unfortunately, children and elderly folks are most prone to the effects of mold exposure. Often undiagnosed, I have seen customers spend years on medications when all they needed was a solid remediation effort. If you or a loved one thinks that they have been exposed to black mold, please call 864-710-6413. Doug at Arrayofsolutions.com will be happy to answer any questions.